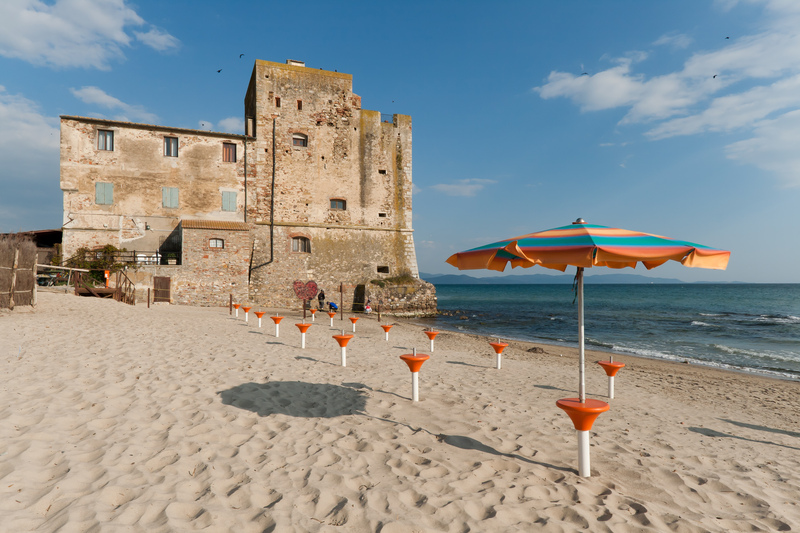 The Maremma region extends along the Tyrrhenian coast from the mouth of the River Cecina beyond Tarquinia. The name can derive, according to scholar, either from the Latin “maritime”, or maybe from the Castilian “marismas” which means "swamp". 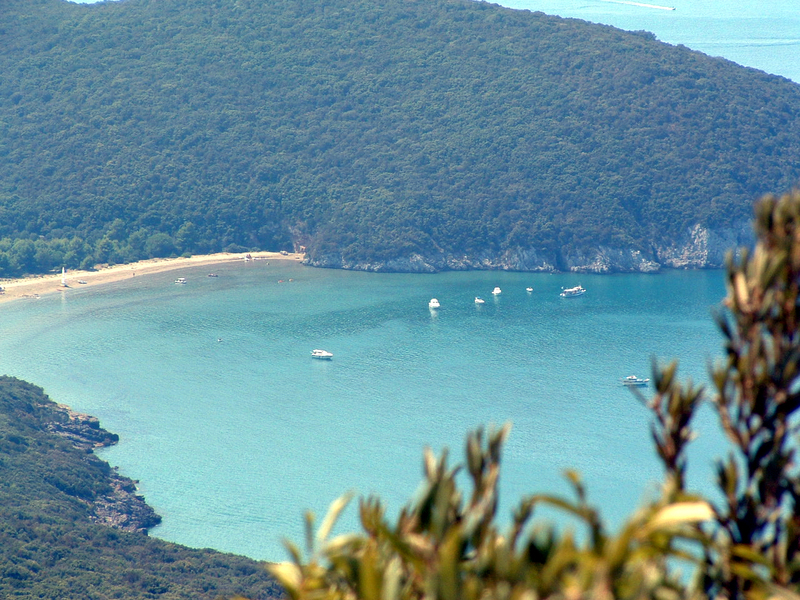 The coast is mostly flat land, interrupted by the Piombino Promontory, Punta Ala, the Mountains of Uccellina and Argentario and by the Colline Metallifere (Metalliferous Hills). With the stagnation of the rivers, caused by the “tomboli” (connections coastal sand-bars), the region became a marshland, which led to depopulation; thus, after the flourishing prosperity of the Etruscan and Roman age, the area acquired military rather than economic importance, as is testified by the 16C fortresses built by the Spaniards in the new Garrison State. At the beginning of our century, drainage and the defeat of malaria have brought fresh economic vigour to the territory, whose main source of income today is in the tourist industry. Its golden, sandy beaches, coves and crystal sea, attract visitors from around the world. The Tuscan part is divided between the Pisan Maremma north of Piombino (which is itself in the province of Livorno) and the more extensive Maremma of Grosseto. 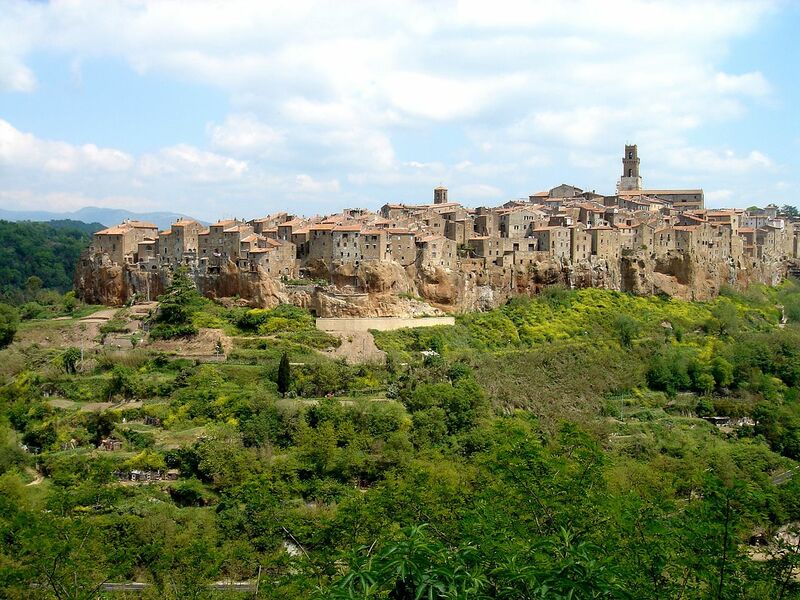 The Maremma is scattered with characteristic villages such as, to name just some of them, Pitigliano, Ansedonia, Campiglia Marittima, Castiglione della Pescaia, Magliano in Toscana, Massa Marittima, Populonia, Vetulonia, Talamone, which are all worth a visit. The Etruscans and later the Romans thrived in the Maremma for centuries leaving important testimonies, as the Etruscan towns of Populonia and Roselle, and finds throughout the territory. Then came the Aldobrandeschi who ruled in the dark ages of Medioveo leaving high towers, castles and fortified villages like Santa Fiora and Sovana. Even the Medici before and the Lorena later, lived in these lands, as testified by the powerful Medici walls of Grosseto. It was in fact the Medici to start the reclamation of the Maremma, which ended after the Second World War. 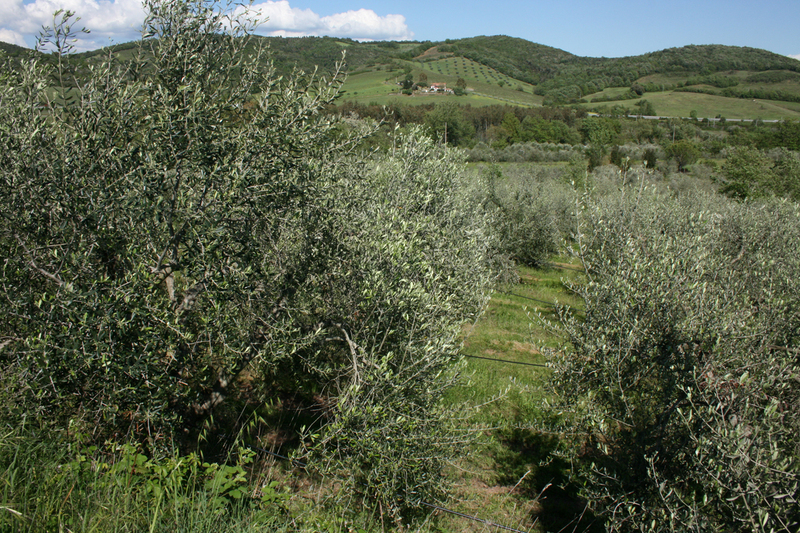 But it is not only the culture and landscape, the Maremma is also an area rich in local products to taste and savor, as well as good wines. 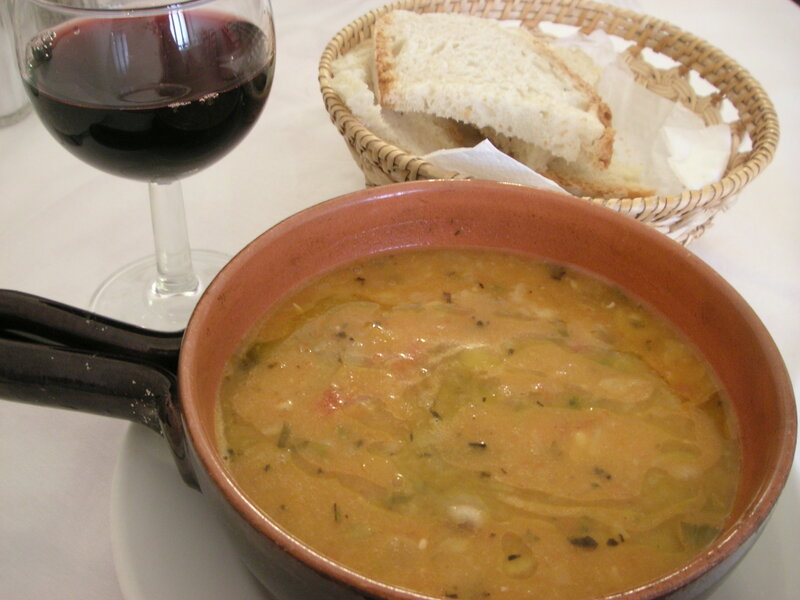 Sea, hills and mountains which blend perfectly in the typical dishes of this area such as the famous and tasteful “Acquacotta”. 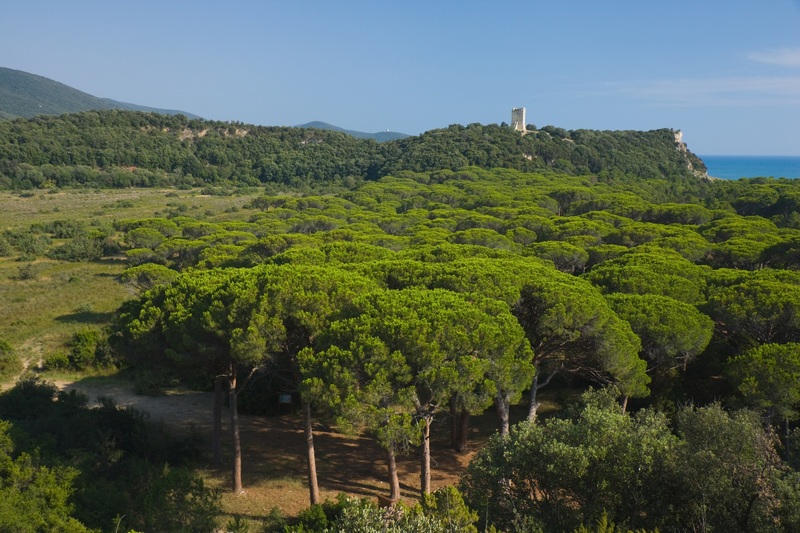 Spend an unforgettable vacation in the green Maremma, book a villa with us!